She dodged the stoat’s quick bite. 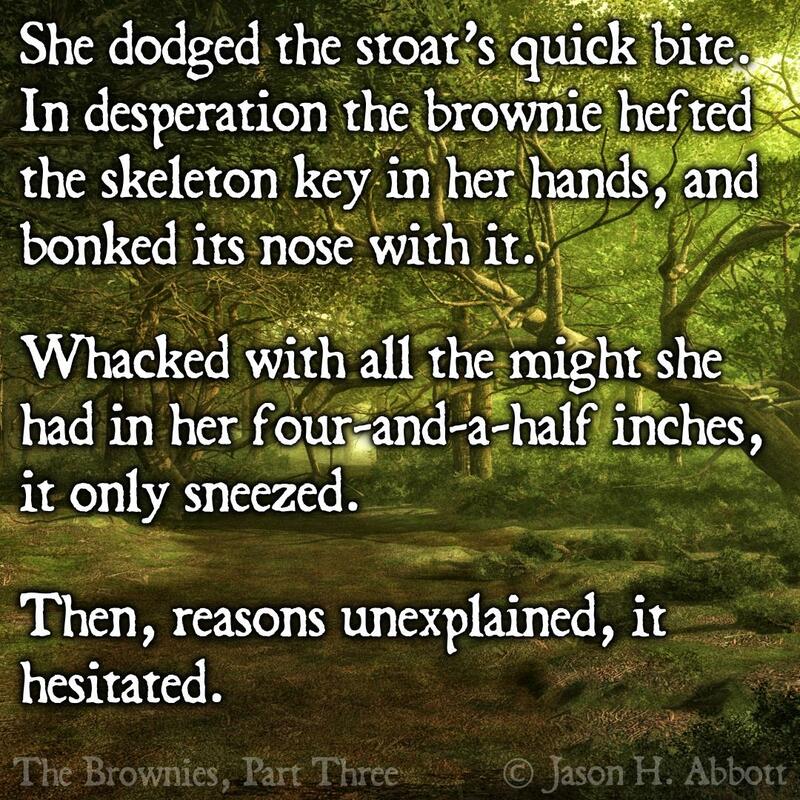 In desperation the brownie hefted the skeleton key in her hands, and bonked its nose with it. Whacked with all the might she had in her four-and-a-half inches, it only sneezed. Then, reasons unexplained, it hesitated. Click here to read all prior installments of The Brownies in order.